So what happened was this. I spent the whole weekend (like, 15 hours) in my yoga glass, then we studied ayurvedic constitutions for 3 of those hours and ate all this fun vegetarian food that was totally delicious, then I wanted to grill out but not eat meat, but I wanted to eat bacon. SO. We grilled out. And as a side dish I made this, which could really be a meal, because it has veggies and carbs and protein. 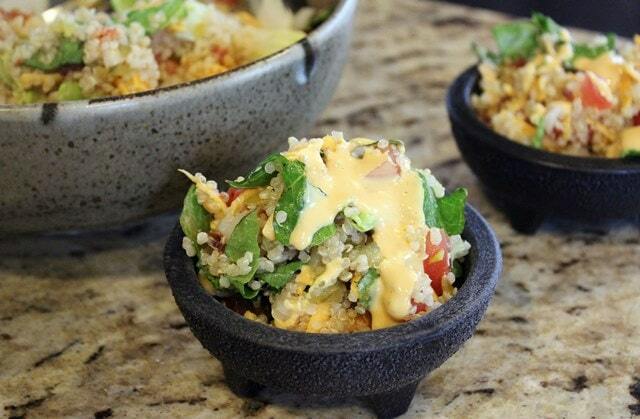 It’s quinoa stuffed with bacon cheeseburger ingredients minus the beef. It was AWESOME. 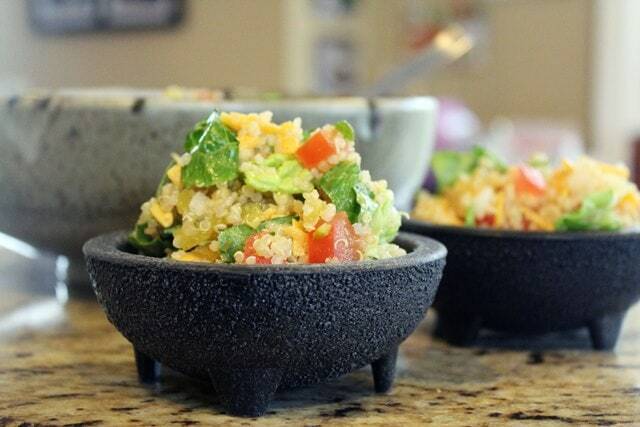 Really yummy and satisfying but obviously so much healthier than a burger. 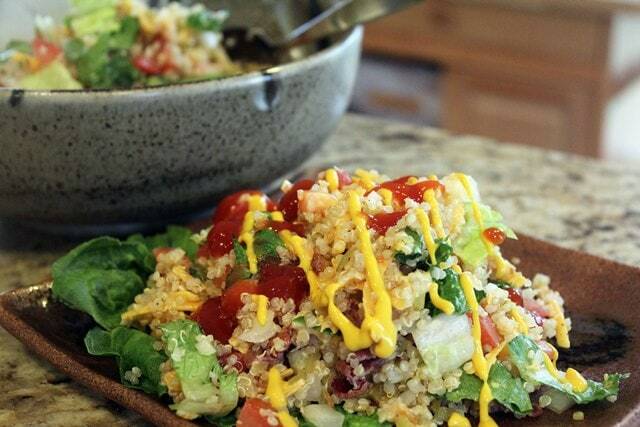 You need quinoa, sharp cheddar, bacon, lettuce, tomato, onion, dill pickles or pickle relish, ketchup, mustard, and mayo. Obviously if you hate any of those things, leave them out! Easy. 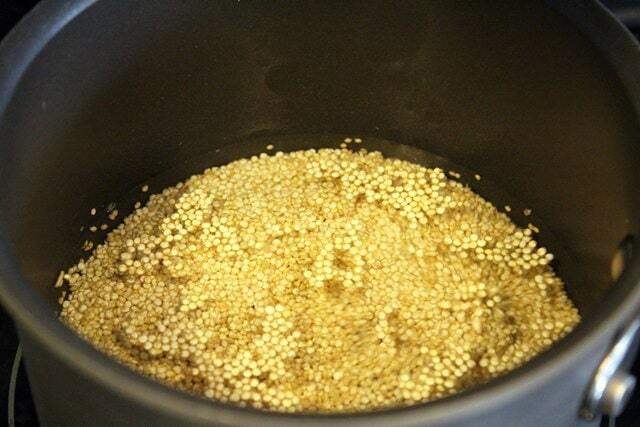 First, we’re gonna cook the quinoa. I only cooked 1/2 cup to the package directions, and it was MORE than enough for 4 or so portions – maybe even more as a side dish! We ate a lot of it, so it’s kind of hard to say what normal people would do with this quantity of food. Whatever. 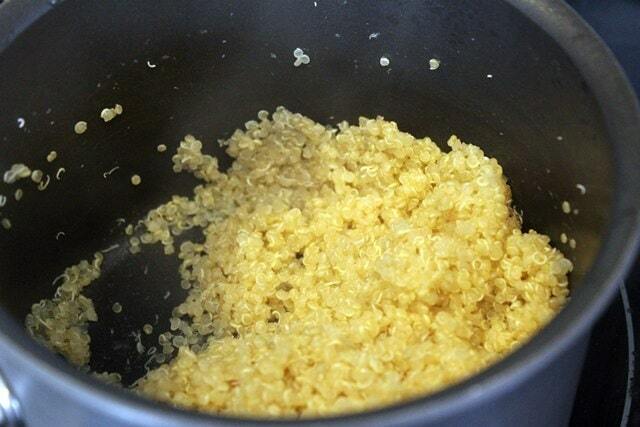 Cook the quinoa to the package directions, and let it cool while you prep the other ingredients. 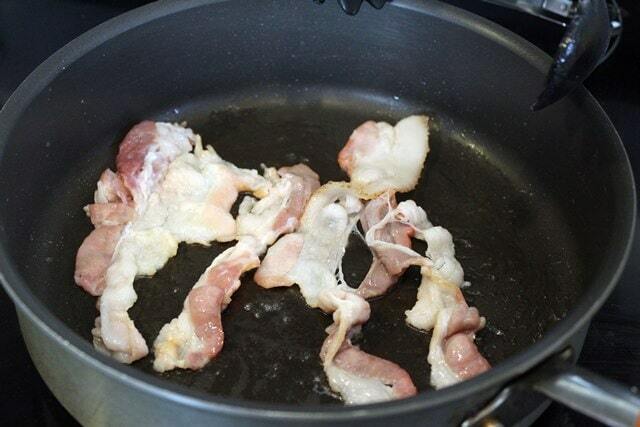 While the quinoa is cooking, get the bacon started. 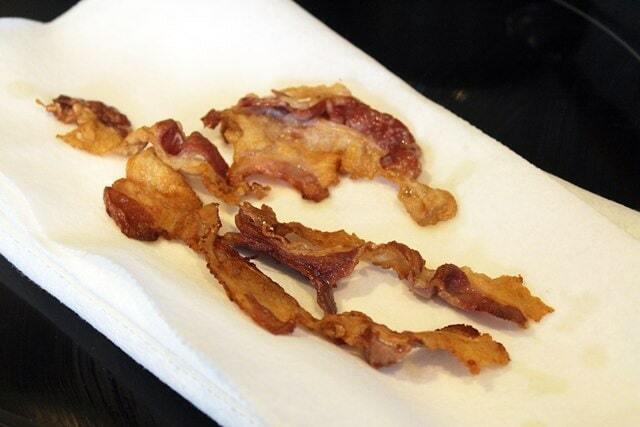 …then let it drain on paper towels and crumble it up. 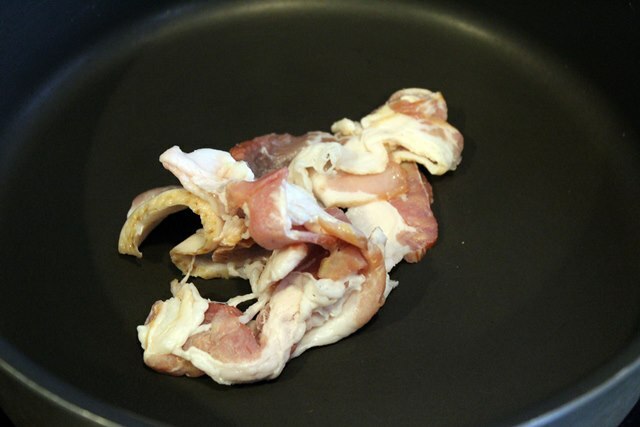 Now, I made a special sauce. It tastes like a burger. Maybe also like…fry sauce? I don’t know what that is, but I hear it talked about a lot. This is totally optional, and very complex. Try to keep up. 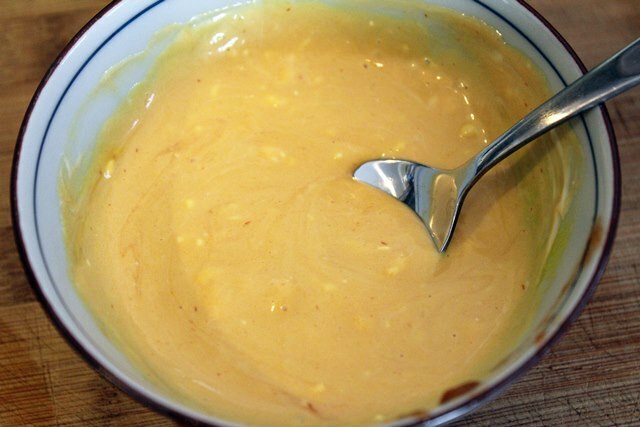 You mix equal parts of mayo, mustard, and ketchup together. That’s it. The end. Set this aside too, if you decide to do it. Now, onto the veggies! 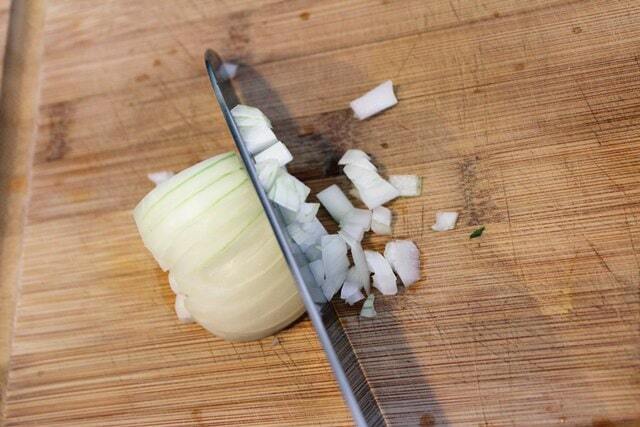 Finely chop the onion. 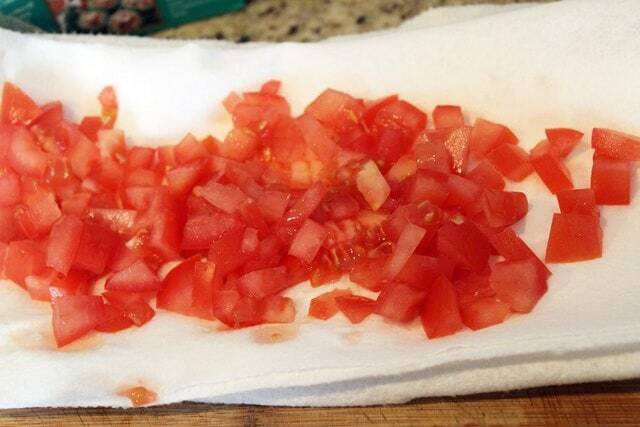 Then, let the tomato drain on paper towels so it doesn’t gunk up the salad. 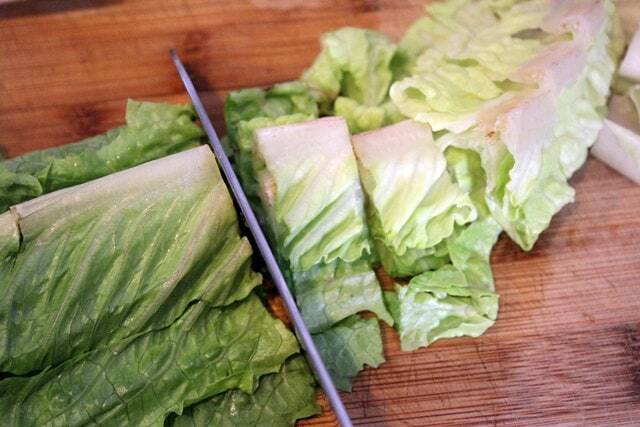 Chop the lettuce into bite-sized pieces. 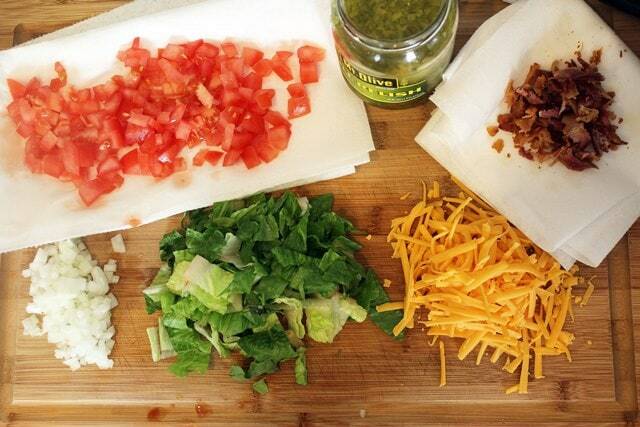 Now, we have all our ingredients ready to go! 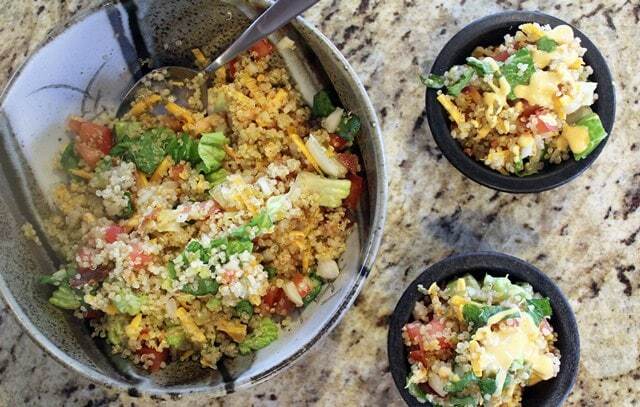 When the quinoa has cooled, add the onion, cheese, tomato, bacon, lettuce, and a big spoonful of dill relish to the quinoa. Stir it all together, and taste – I added more dill relish and a sprinkle of salt. Add more of whatever you think it needs! That’s IT. 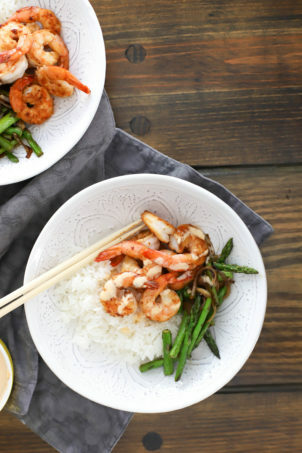 So simple and delicious. You could serve this plain with a drizzle of mustard and ketchup to really drive the burger point home. OR, you could drizzle on some of the special sauce, if you went that route. You will LOVE THIS, guys. 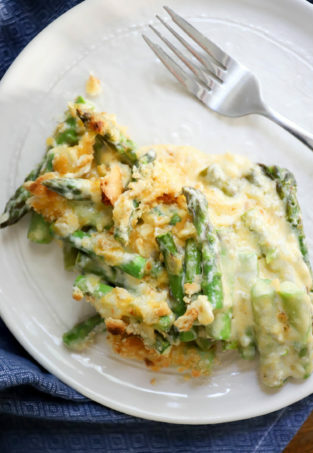 It’s a great addition to any summer cookout, and is really simple and healthy! 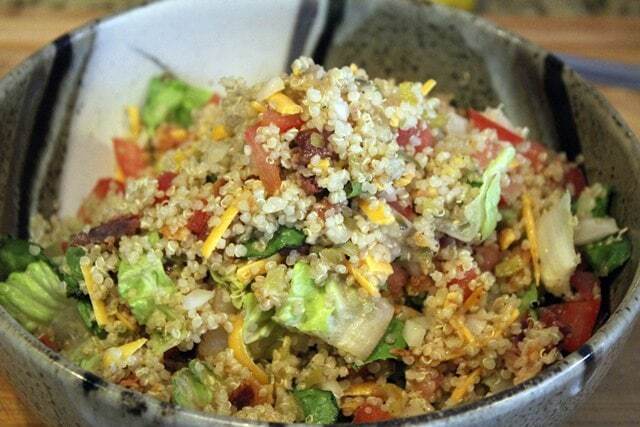 Combine quinoa, bacon, cheese, onion, lettuce, tomato, and relish. 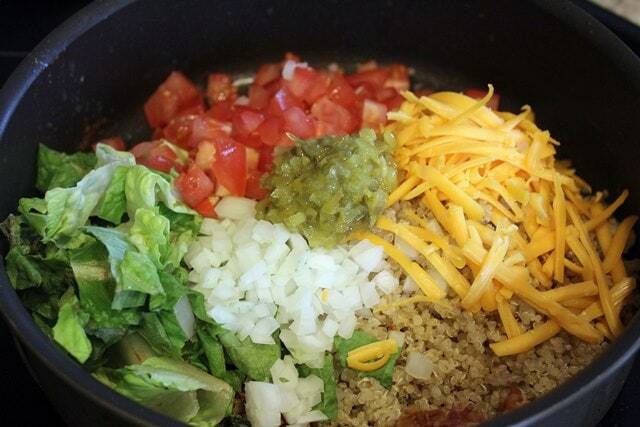 Taste, and add salt and more relish to your preference. 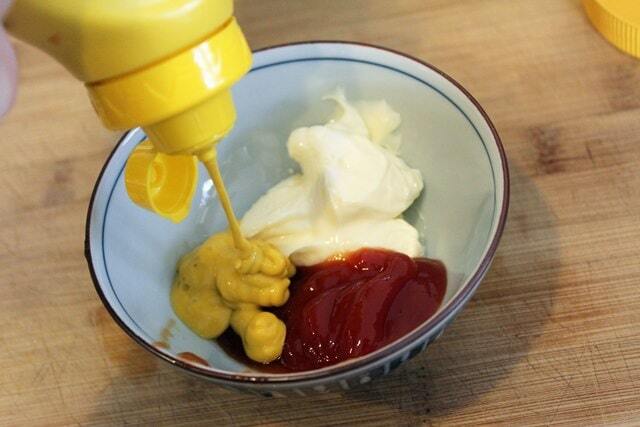 Combine the mayo, mustard, and ketchup to form a sauce. 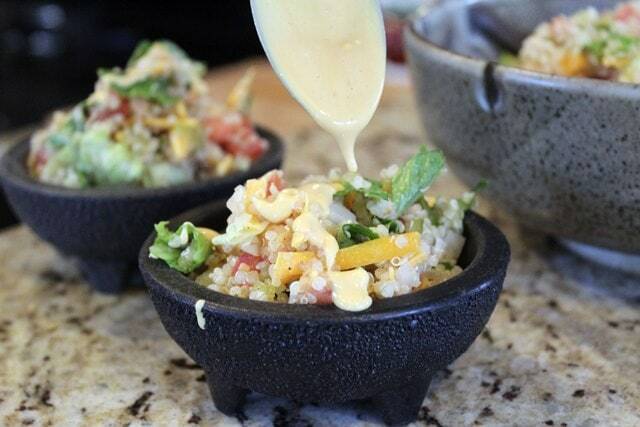 Serve the quinoa topped with a drizzle of the sauce. YUM. 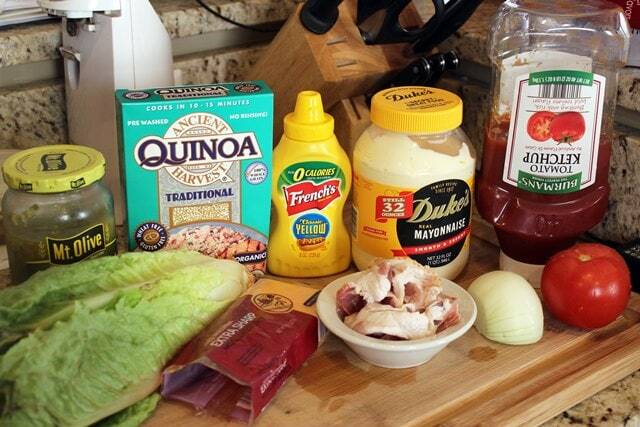 You can prep all the ingredients and the sauce ahead and then just combine everything prior to serving. Easy! 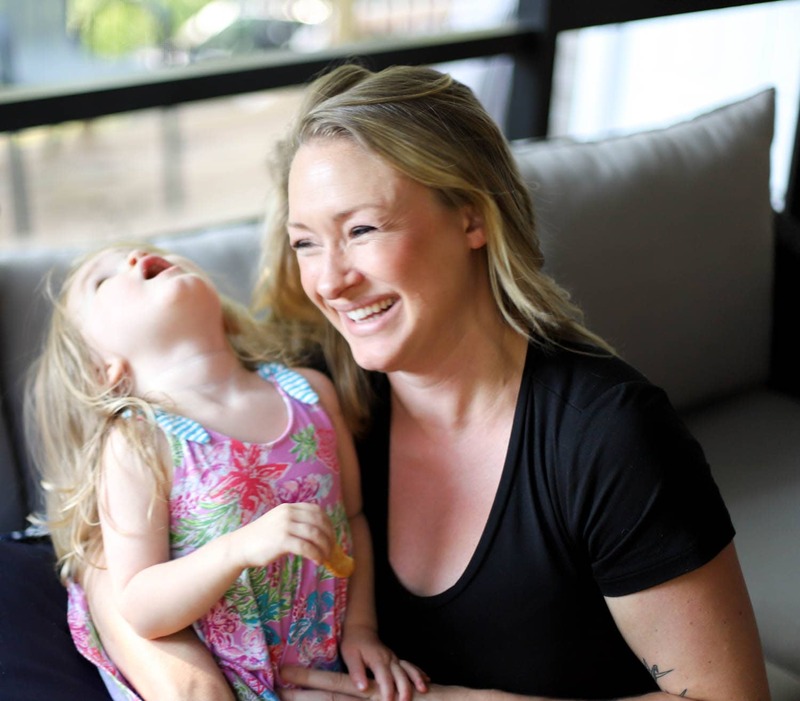 Too cute not to submit to weekend potluck via my friend Tonya’s site, amirite? I browned garlic and shallot with some butter. Then I added and cooked the lean ground beef (I season it like a burger). 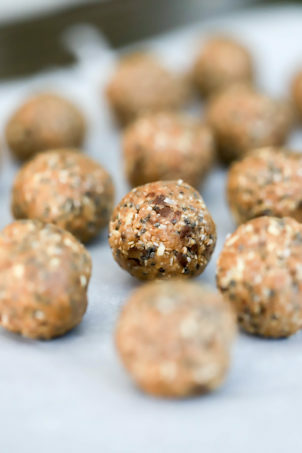 Then added I Quinoa + water and cooked. 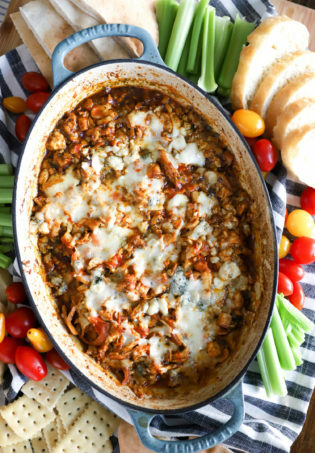 This is basically a one-pot recipe. 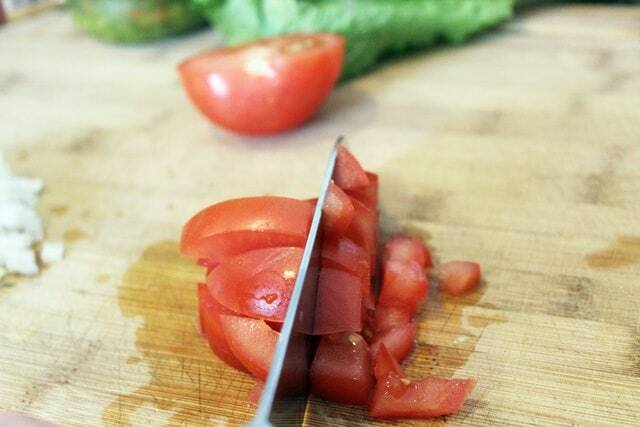 Then I sliced up fresh onions and tomatoes (you can also add alfalfa sprouts, better for you than lettuce, hehe). 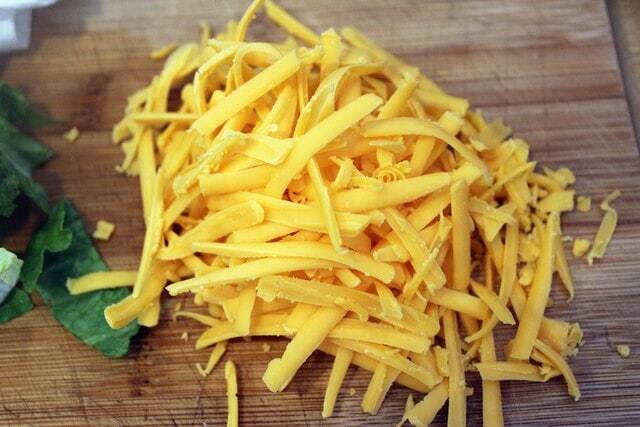 When the “Quinoa burger” was done I grated cheese and let it melt. After it cooled a bit, then I topped it with fresh ingredients. YUM, that sounds great too!